Have You Made This Simple Stir-and-Pour Bread Yet? 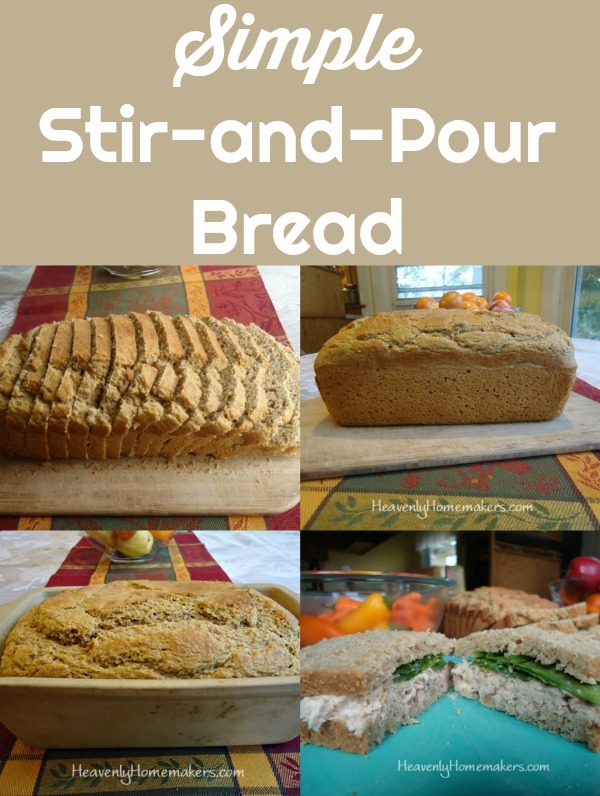 It’s been a while since I gave a reminder about this incredible Simple Stir-and-Pour Bread recipe. So just in case you have forgotten about it or haven’t made it yet, I thought it was a good time to give it a shout-out! This Stir-and-Pour Bread recipe is just about as easy as it gets because you don’t even have to knead it. 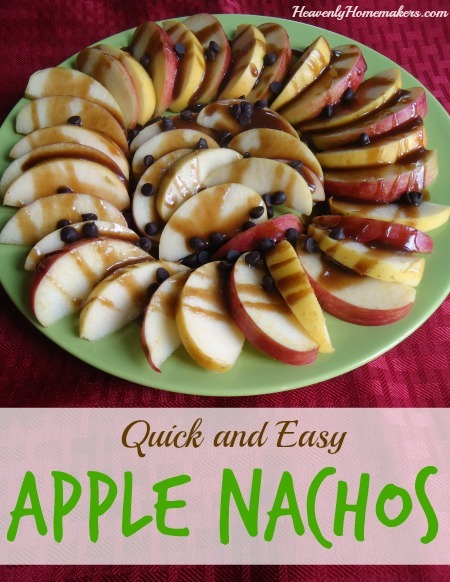 You can make this super quickly and with almost no effort! I am not exaggerating when I say that ANYONE can make this bread. Simply stir the ingredients together, let it sit, pour it in a bread pan, and bake it. It’s ridiculously easy and just as good as any difficult bread recipe! See look! A 3-year old can make it! Did I mention that it’s made with 100% whole wheat flour? Yep. Just when you thought it couldn’t get any better. I almost never add the egg or cream when I make this. I like to keep it as simple as possible! 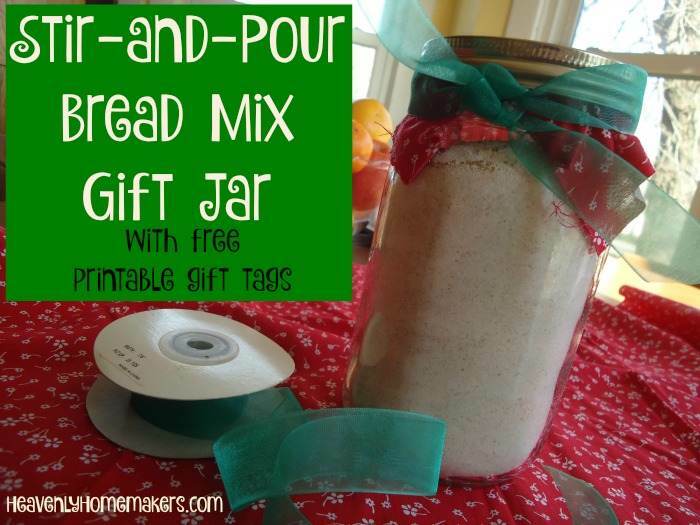 Bread Mix in a Jar – Make it for a Gift! You can either bake some of the Stir-and-Pour Bread to share with someone, or you can follow these directions to make the mix-in-a-jar to give as a gift. Either way, what a fun way to love on someone! You can also use the free printable gift tags (found on this page) to go with your jar. Tell me your experience! Have you tried this bread yet? 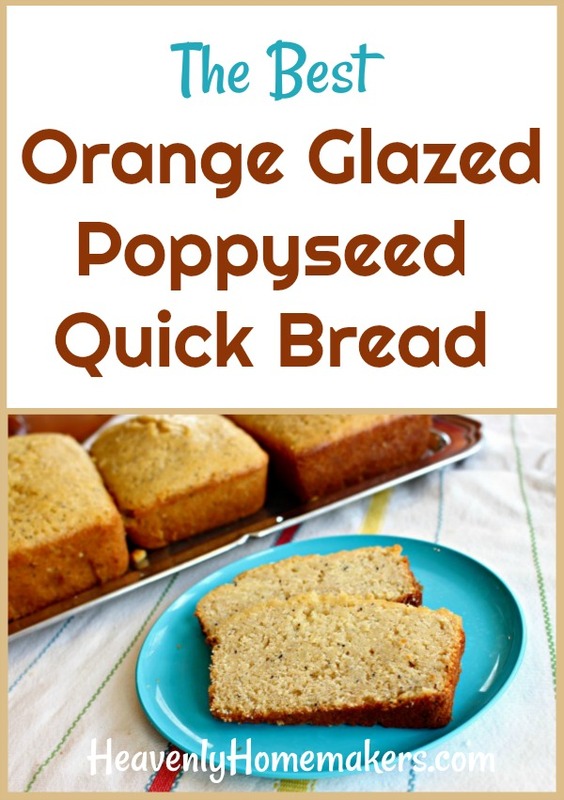 This Orange Glazed Poppyseed Quick Bread will shock you, especially when you see that it is made with whole wheat flour. How can something made with whole wheat be so moist? Ahh, let me tell you athe secrets. First, I believe a huge factor in making this bread delicious while baking with whole grain is that I use freshly ground soft white wheat. There is a big difference in wheat flour ground from hard red berries (which makes heavy, dark whole wheat flour), wheat flour ground from hard white berries (which makes lighter whole wheat flour), and wheat flour ground from soft white berries (which becomes a light pastry flour – still whole wheat!). Read more details about these varieties of wheat here. I use hard and soft white wheat berries, depending on what I’m baking. (Hard wheat must be used in recipes that call for yeast.) 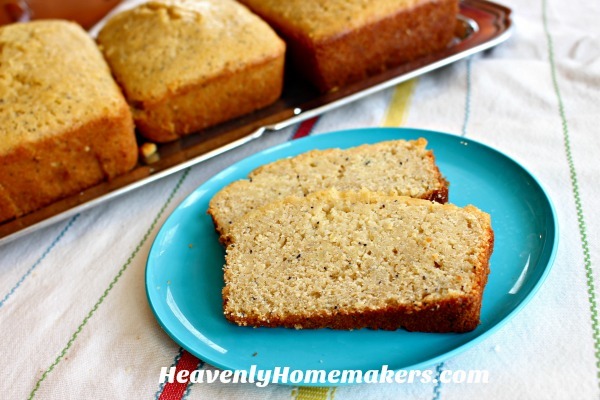 For recipes like this Orange Glazed Poppyseed Quick Bread, I use soft wheat berries. The pastry flour this makes is so light it seems like I’m using all-purpose white flour. But it’s whole grain – and full of nutrients! Beyond the kind of flour used in this recipe, I believe the Orange Glaze is what gives this bread an extra measure of moistness! Mix a little orange juice with honey, add almond and vanilla extract, and this glaze is incredible! 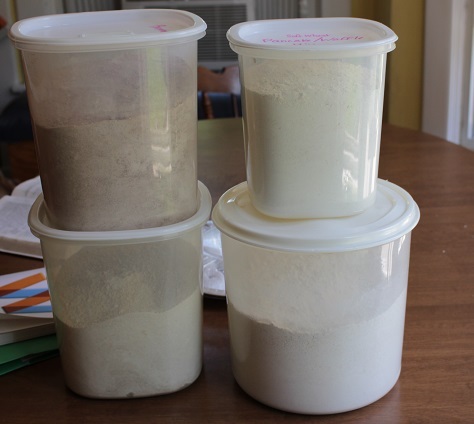 Mix flour, sucanat or sugar, baking powder, and salt. Add eggs, milk, extracts, oil, and poppy seeds. Pour batter into 2 well-buttered loaf pans (or six small loaf pans). Bake 45-60 minutes at 350°. Pour mixture over loaves of poppyseed bread about 3 minutes after they have been removed from the oven, but before removing the loaves from the baking pans. 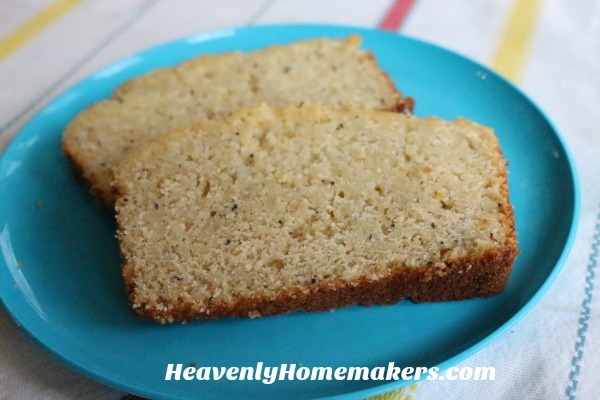 I guess it’s clear that while this is a Poppyseed Quick Bread recipe, poppy seeds aren’t the ingredient that gets my attention. 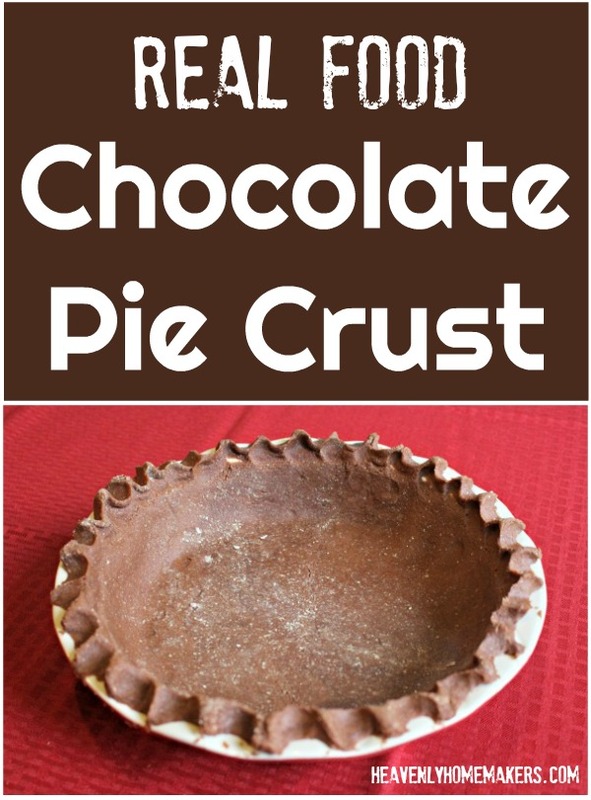 Those are important too, but whole wheat pastry flour, orange glaze, and almond extract are the key to making this recipe absolutely amazing!! 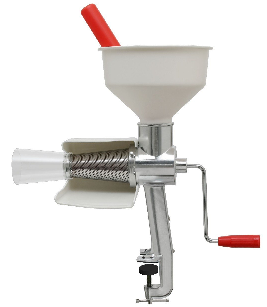 Read more about grinding flour in a grain mill here. Not able to grind your own flour right now? 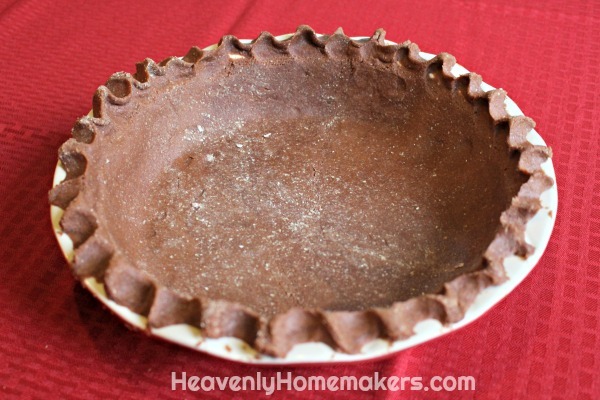 You can buy Whole Wheat Pastry Flour like this. Want to make your own Vanilla Extract? Here’s how. 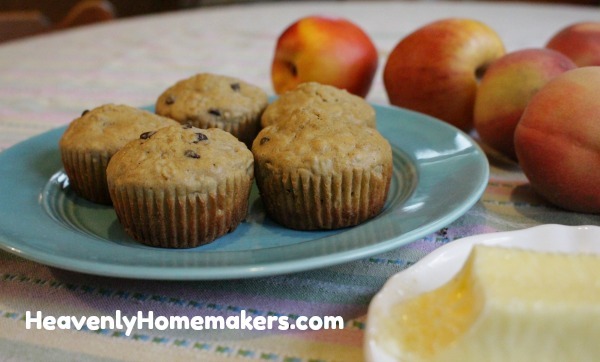 Need Almond Extract for this recipe? Here’s my favorite brand. Not sure where to buy poppy seeds? I either buy them in bulk from Azure Standard, or I find them at Amazon. By the way, I love doubling this recipe and freezing extra loaves to pull out and serve another time. 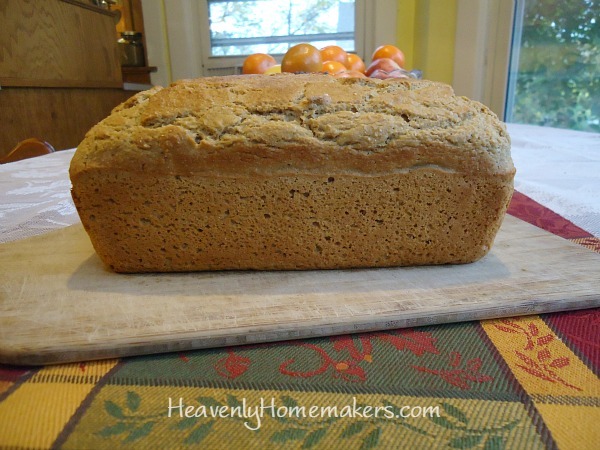 This bread doesn’t get dry in the freezer and thaws to be a perfect convenience food! 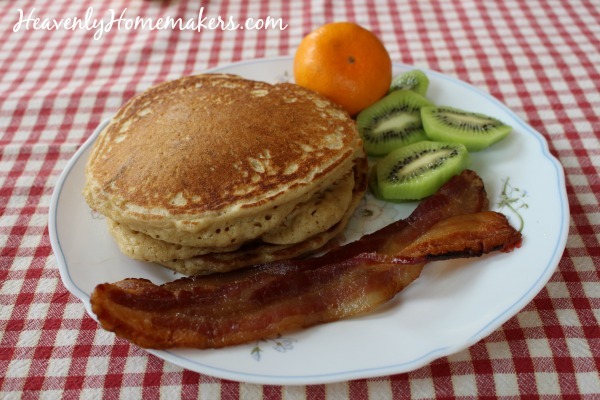 What is it that makes serving breakfast for dinner so much fun? 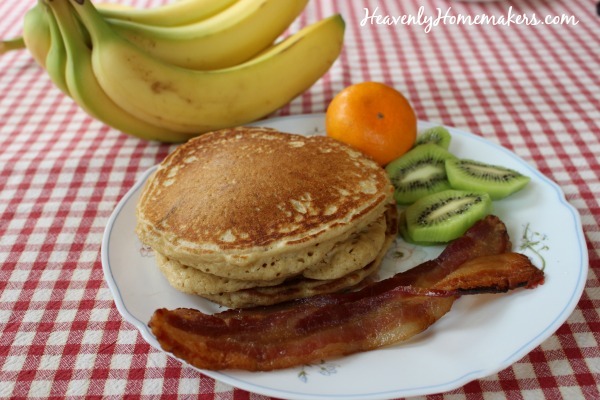 These Simple Banana Pancakes are extra delicious at night. I don’t know why, they just are. Also, it’s seems that pancakes taste better when cooked over an open fire while camping. So let’s review. Pancakes taste better when cooked at night for dinner or when cooked over an open fire while camping. Why do we even think about making these in the morning for breakfast, anyway? Well, because they taste great in the morning too. Okay, then. Pancakes taste amazing no matter when you make them and where you cook them. Pancakes are fabulous. Add banana to the pancakes and they become extra special. Once again, we can brag that this meal offers extra money savings! 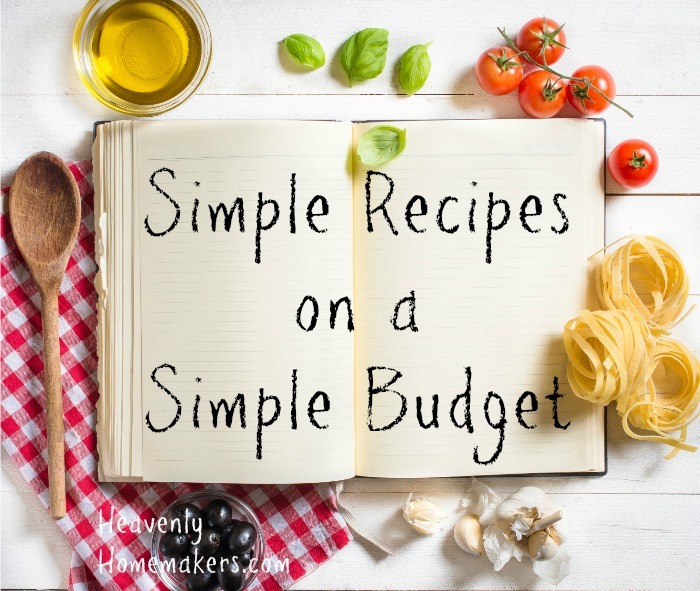 As we work our way through the month sharing Simple Meals on a Simple Budget, we can be amazed at how many great meals we can make that come together without much effort but still save us money too! 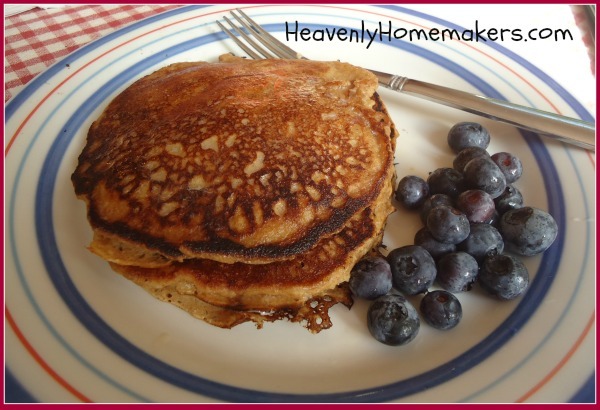 And now, without further ado, I present to you the most wonderful breakfast or dinner time Simple Banana Pancakes! Cook on a hot griddle, turning once bubbly, about 2 minutes on each side. 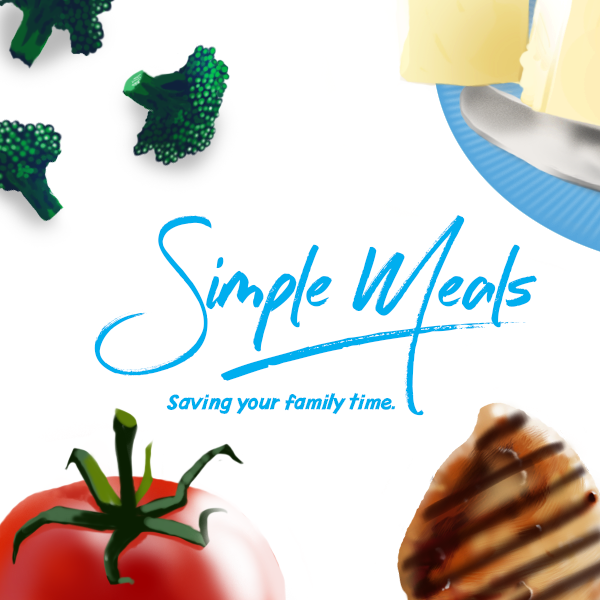 Does your family enjoy eating breakfast food at dinner time? 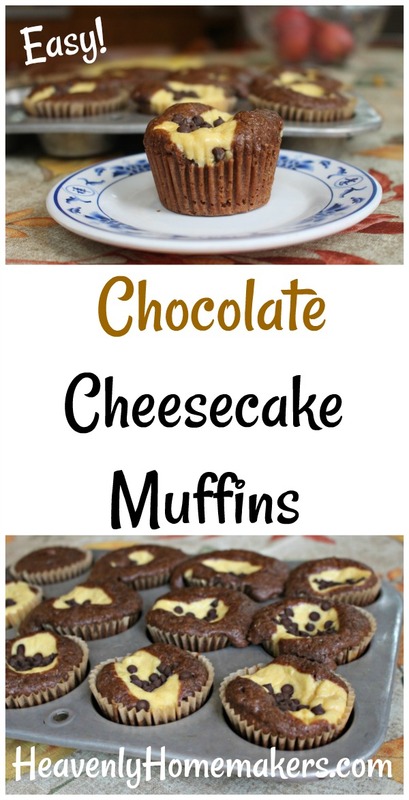 Perhaps you’re thinking, why would I make Banana Cheesecake Muffins when I can make Chocolate Cheesecake Muffins? I’m here to tell you that I actually like these even better than the chocolate muffins. This, from a girl who loves her chocolate. 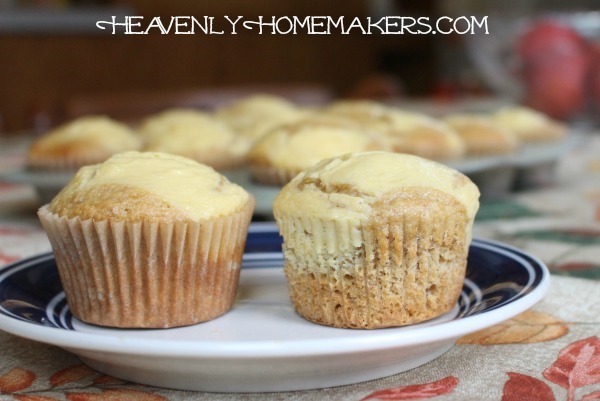 There’s just something about the subtle sweetness, the perfect moistness, and the obvious cheesecake topping that makes these banana muffins rise to the top for me. Notice I said “have to.” Because there is no other option. None at all. 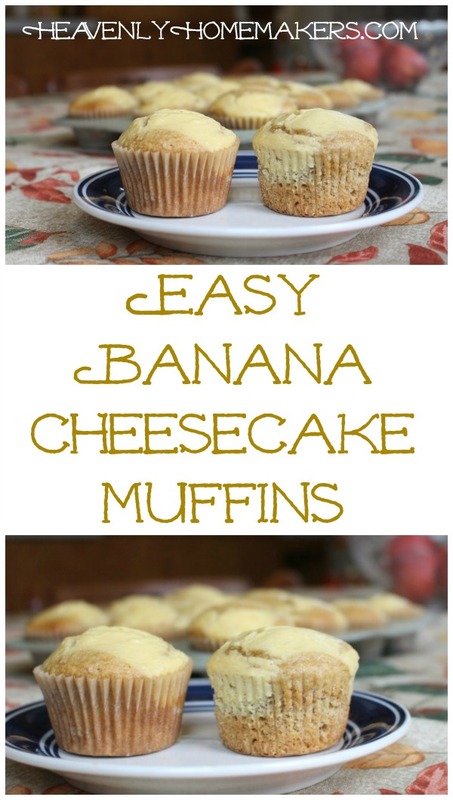 The only thing I can possibly do with my blackened bananas is make these Banana Cheesecake Muffins. It is the only way. Add egg, mashed banana, and melted butter, stirring until ingredients are combined. 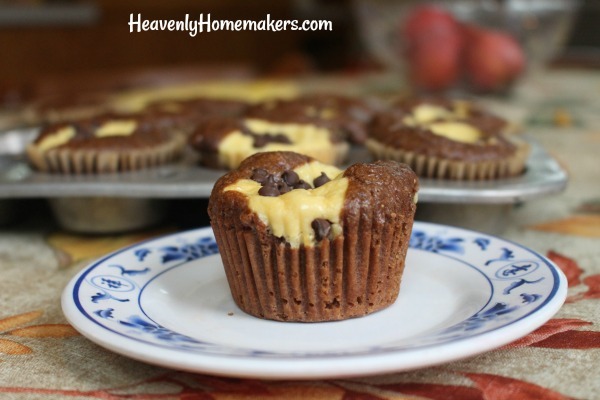 Check out the sister recipe to this one: Easy Chocolate Cheesecake Muffins. And be watching for more! 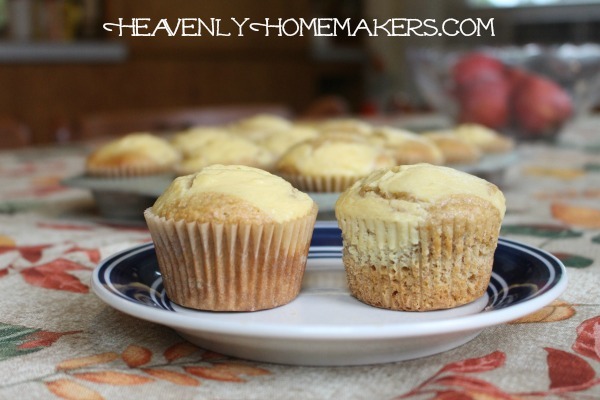 Easy Pumpkin Cheesecake Muffins and Easy Chocolate Chip Muffins recipes coming soon! 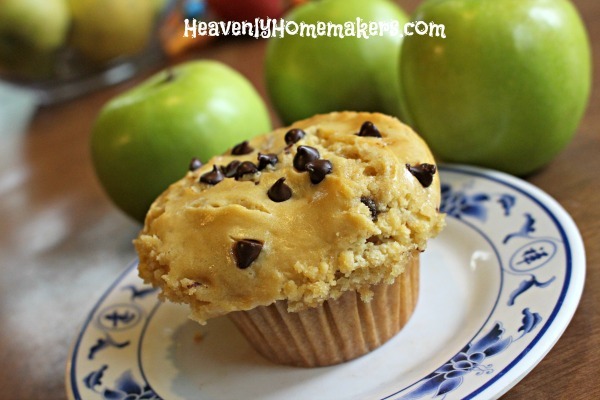 This Whole Wheat Oatmeal Chocolate Chip Muffin recipe has become a favorite at our house, especially as we’ve kicked off a new school year! Our kids are forever on the run this year as two of the three boys still at home are taking a variety of music lessons, college classes, and even a couple classes at our local high school. Oh hey, I haven’t told you yet! Nebraska has changed their home school laws which had been very limiting as to the extracurricular activities our kids could participate in at the public school. As of this year, the only eligibility requirement for participation in public school activities is that home school students take two classes at the public school. Boom. We’re in. Our boys are incredibly excited to play high school soccer this spring!! This means our high school senior and sophomore guys have quite a crazy schedule to juggle. They are back and forth and forth and back…and it’s a good thing they are responsible and that God made coffee. Gone are the days of starting our day leisurely at the breakfast table together. We’ve moved our family Bible reading up to a much earlier start time so that we can still make it a priority. And instead of rolling out of bed just in time to head down for breakfast and Bible time together, the older boys have to be actually ready to walk out the door wearing actual clothes and actual shoes. It’s working, and it’s working beautifully. God knows what we need and He continually provides. While our two high schoolers are running to and fro and doing all their home or college studies in between their public school classes, our 7th grader and I have a little extra quiet time to read his History and Science lessons together. So now you know a little about our new adventures this year. 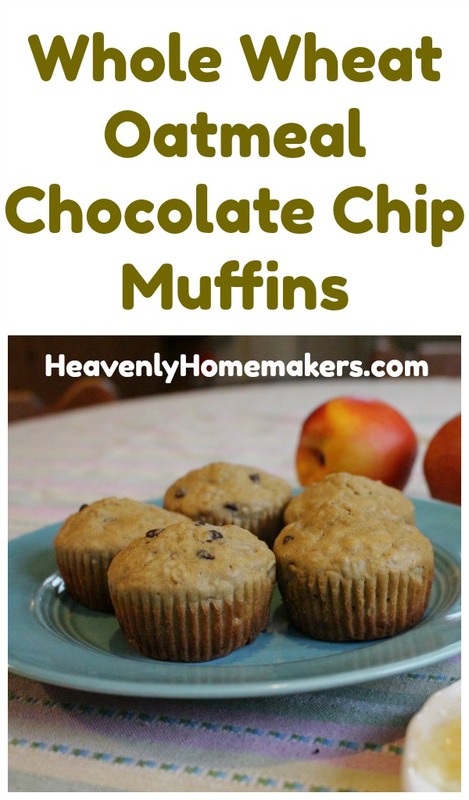 But what you really wanted to read about today is this Whole Wheat Oatmeal Chocolate Chip Muffin recipe. Am I right? In a large bowl, stir together flour, oats, sucanat, baking powder, and salt. Add eggs, milk, and butter, stirring until just combined. 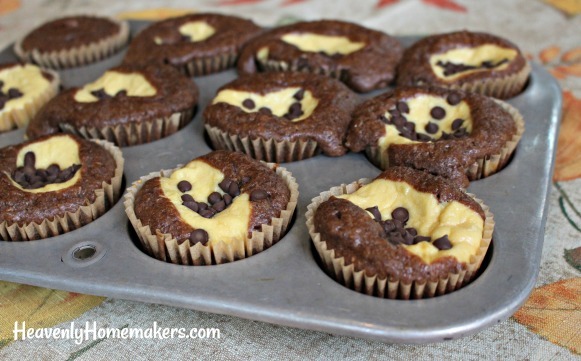 Scoop batter into 16-18 prepared muffin tins. Bake in a 400 degree oven for 15-20 minutes or until muffins are golden brown. Make them Dairy Free: Use coconut oil instead of butter and coconut milk instead of regular. Make them Gluten Free: Use your favorite gluten free flour instead of whole wheat and gluten free oats instead of regular. 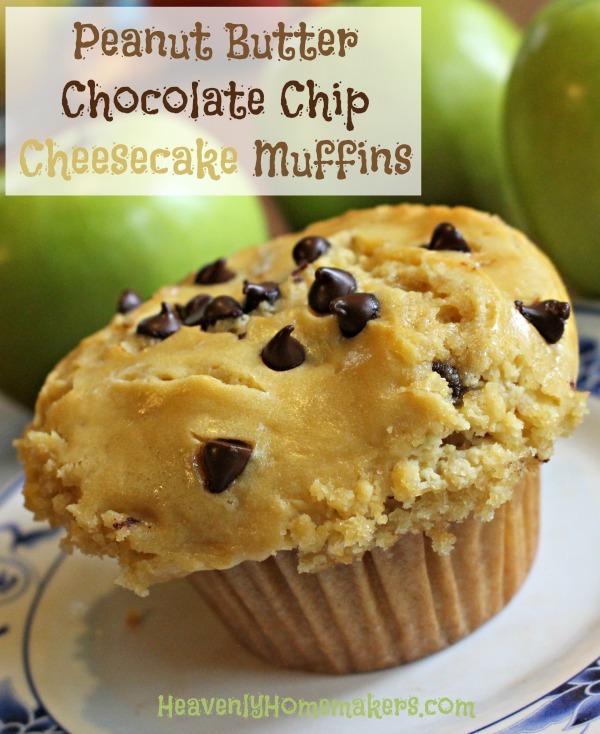 Need some protein with your muffin and fruit? So do we! Eggs are always great. And check out this great method for cooking bacon and freezing it for fast breakfast protein! Tell me about your school year. Are you off to a good start? 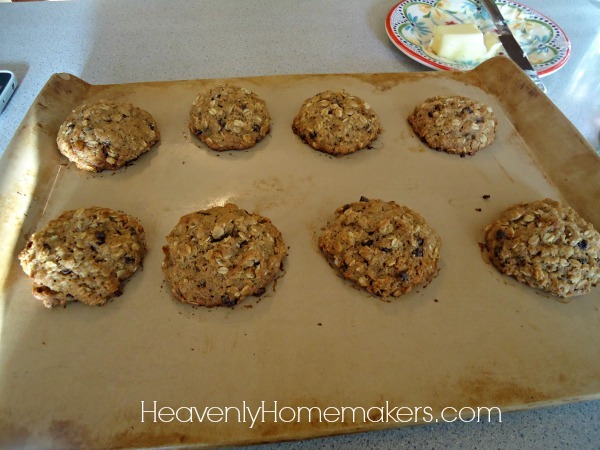 I used to always bake big batches of these cookies (or even a double batch) and freeze them to pull out as needed. This is great! But I like this new idea better. 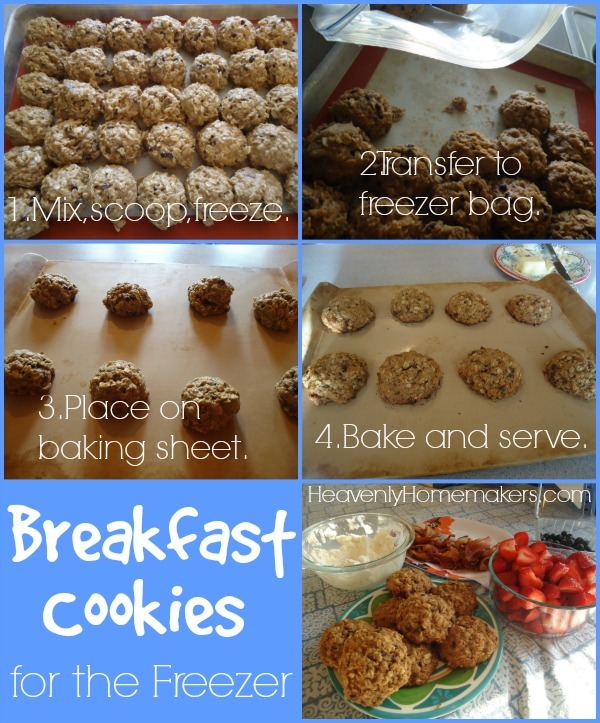 See, with this idea we can have hot, fresh breakfast cookies whenever we want them. I think we can all agree that a hot, fresh breakfast cookie with a glass of milk or a cup of coffee is much, much better than a room temperature cookie with a glass of milk or a cup of coffee. 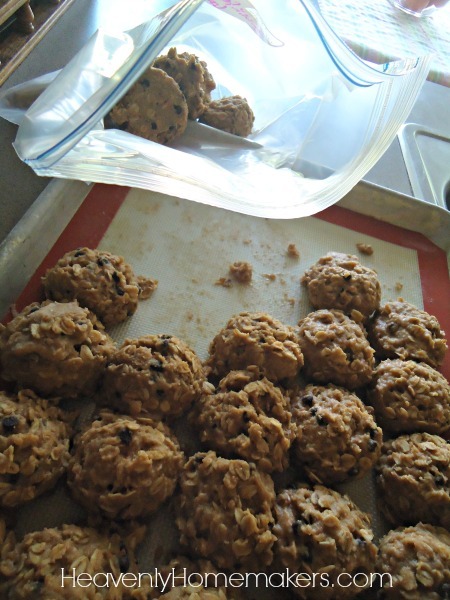 Once frozen, I transfer the cookie dough balls to a freezer bag. In the morning, I get out a few cookie dough balls to bake fresh. I put them into the oven (yep, from their frozen state) and bake them while the coffee brews. 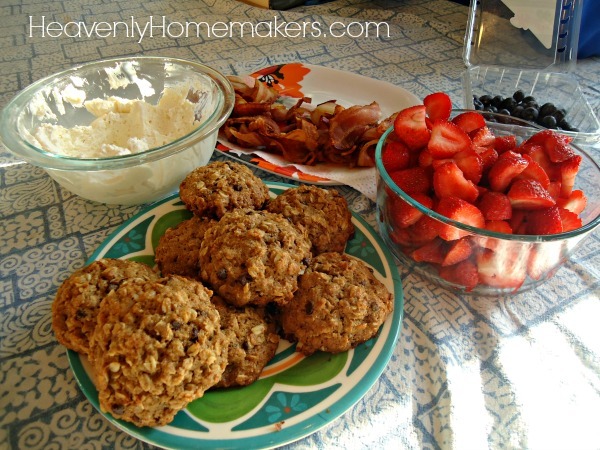 When the family wakes up, there are hot, fresh breakfast cookies ready to go with the rest of our breakfast! 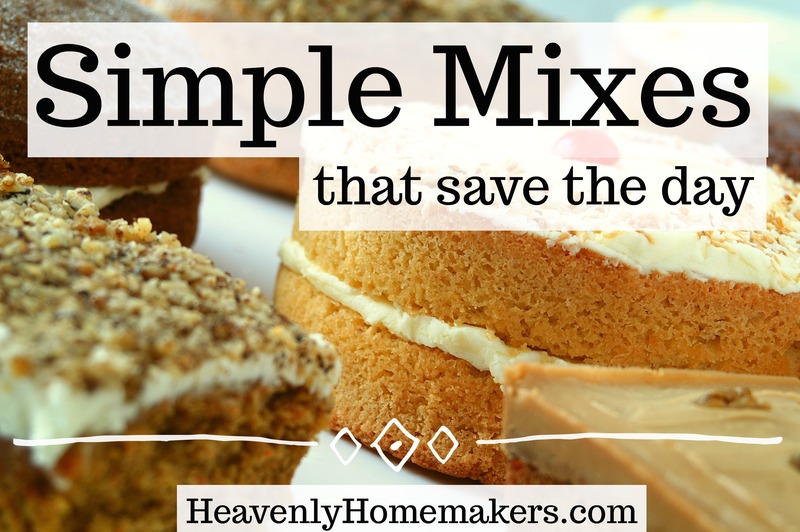 Mix butter, honey, eggs, salt, cinnamon, baking soda, vanilla, and buttermilk. 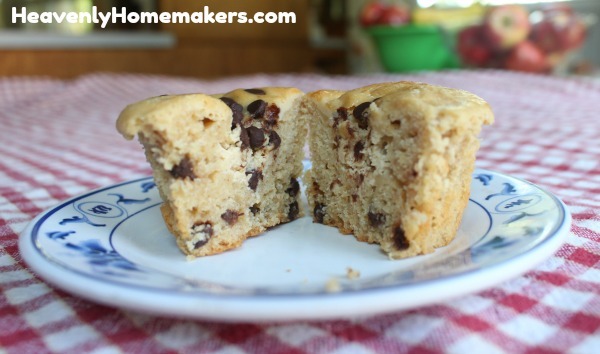 Fold in raisins or chocolate chips. 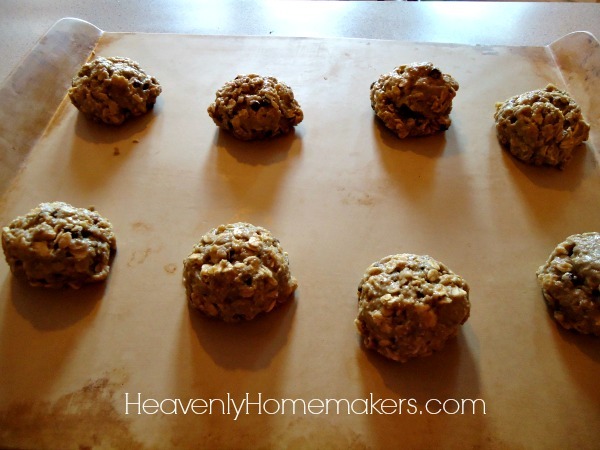 Mix dough and scoop side-by-side onto a cookie sheet. Freeze dough balls, then transfer them to a freezer bag. 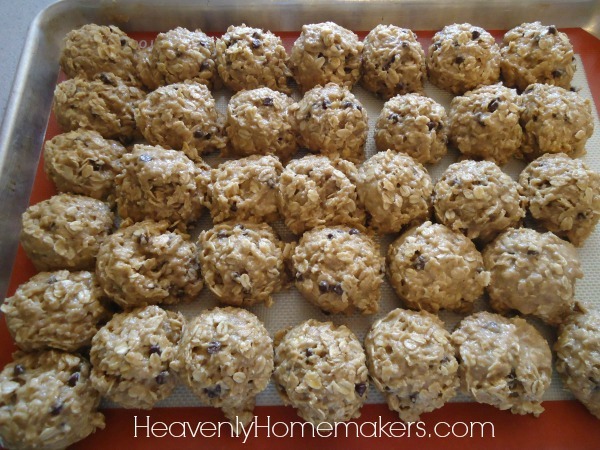 Place desired amount of frozen cookie balls onto a baking sheet while oven pre-heats. Ever tried freezing cookie dough balls before? I’ve been doing this with regular cookies for years. Why it took me this long to do this with Breakfast Cookies is just sorta silly. More freezer recipes and ideas coming soon! Trust me, I did not do this on purpose. I didn’t substitute the butter for applesauce in order to cut down on fat consumption. I did it to create a yummy fall recipe. I did it because applesauce makes a recipe quite moist and flavorful. I did it because as it turns out, this recipe works better without any butter or coconut oil. Who knew? Add milk or water to make a thinner or thicker batter - however you like it. Cook pancakes on a buttered griddle, flipping once they become bubbly. These take a bit longer to cook compared to regular pancakes, so turn the heat down so the outside doesn't burn while the inside cooks fully! 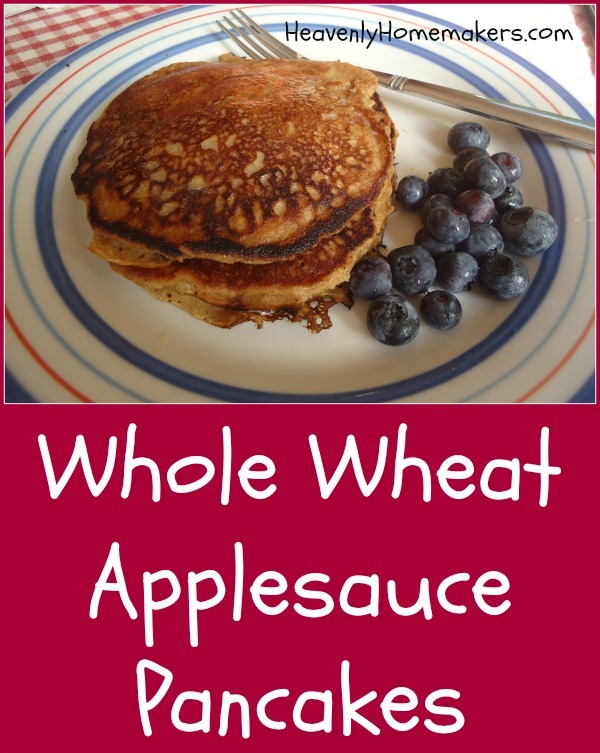 In order to make these Whole Wheat Applesauce Pancakes as wonderful as possible, you’ll want to learn to make Homemade Applesauce. 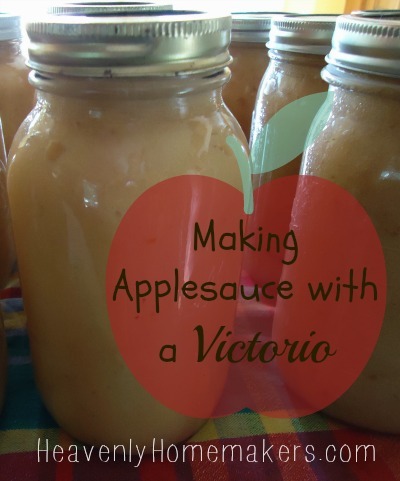 My favorite way is to make applesauce using the very wonderful Victorio. Read more about that here.